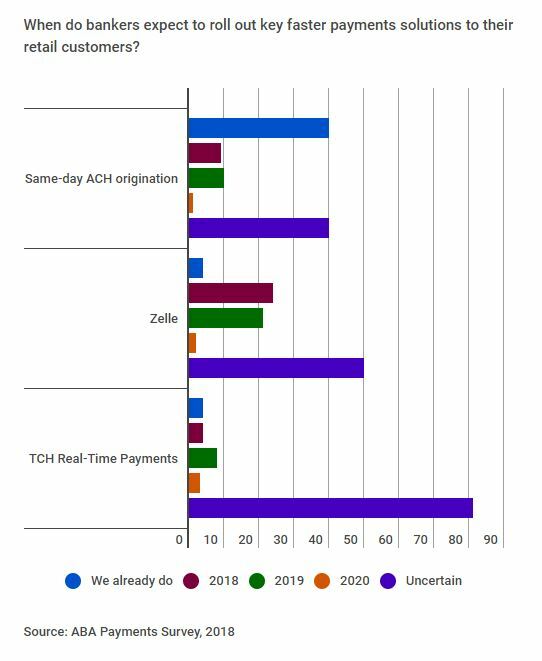 Payments trends to watch in 2019. A policy perspective on faster payments evolution. Running the footrace against fraud. “Open banking”: aspirational slogan, business model or regulatory regime? Those responsible for implementing faster payments on the industry side seem to have taken the “faster” part literally. In little over one year, from late 2016 to late 2017, three new faster payments solutions went live: NACHA’s same-day ACH functionality, the Zelle P2P network and the Clearing House’s Real-Time Payments service, which was the first new U.S. payments architecture launched in four decades and which went from drawing board to live transactions in about 25 months. “The banking industry has done an incredible job in three years,” says Jane Larimer, COO and general counsel at NACHA. In the second quarter of 2018, the Zelle network processed 100 million transactions totaling $28 billion, according the network operator Early Warning Services. P2P adoption more broadly is growing, with 75 percent of millennials using P2P—more than the share that use cash or checks. Even baby boomers and Generation Xers are catching up; more than half of boomers used a P2P app, according to an Early Warning survey. As of July, 29 financial institutions were live with Zelle, and an additional 119 were in the implementation pipeline. 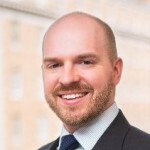 Eighty percent of U.S. demand deposit accounts have access to Zelle, says Ryan Riveland, director of market solutions at Early Warning, and while there have been some wrinkles in implementation—particularly at smaller banks waiting for their core providers to complete the necessary setup and with consumer education around how to minimize risk—the network is poised for further growth. “Zelle is the chance for the banking industry to take back digital payments from Silicon Valley,” argues McGranahan, who emphasizes Zelle’s positioning as a consumer-driven brand. Early Warning and its member banks are putting up the marketing budget to make Zelle as much of a household name as Paypal’s Venmo. For a consumer-oriented solution like Zelle, “the demand is there,” adds Tom Rea, EVP at U.S. Bank. “The business side is a little more challenging.” The Clearing House’s RTP is aimed at that business user, and with more diverse use cases, adoption has been slower, explains McGranahan, with RTP ubiquity expected around 2020.